It may seem like we as Christians are merely humans located on a deteriorating planet. The reality is that we’re just “sojourners and pilgrims” on this earth (I Peter 2:11). This world is not our home or permanent residence. In fact, our actual location in God’s eyes is a place of reigning with Him in heavenly places. He doesn’t see us as human nobodies; He’s made us kings and priests unto Himself. The Queen of England, the Prime Minister of Israel, or the Supreme Leader of Iran couldn’t compare to this position of reigning! With that position of reigning comes what every ruler enjoys – authority. Rulers, because of the crown on their head or the vote of their people, have the authority make and enforce laws. They are in a position that automatically comes with power to command. Because of our position in the royal kingdom, authority has also been delegated to us. It’s an authority that doesn’t begin and end with people or earthly things. It extends far beyond what we can see and into the spiritual realm. It comes from a commission and empowerment given to us by Jesus with the use of His Name. Without it, we would have no authority at all! In addition to our authority to use the name of Jesus as our key weapon, we also have some hardware that we couldn’t do without. This is how we stand in our position of authority when spiritual enemies come against us. Because we cannot see the armor of God with our physical eyes, it seems hard to believe that we are equipped with such powerful weapons of authority. That’s why we are to believe in our hearts that it is so, just like we believe to receive Jesus as our Lord and Savior. We won’t act upon our authority unless we believe it exists. Imagine how ridiculous it would be for a king to suddenly disbelieve that he is of royal blood. Instead of enjoying the perks of royalty, he goes into panic, questioning everything he knew before to be true – including his authority. The kingdom would soon fall apart because he was too intimidated to exercise his power, that same power that kept enemies at bay and laws of justice in place. This is what happens when we don’t understand our authority, or choose not to exercise it. The devil comes in and takes advantage of our ignorance. He throws those “fiery darts” at us, and if our shield of faith isn’t up, we are wounded. If we don’t know our position of righteousness before God, he’s able to weaken our belief in who we are. Without our “Gospel of peace” shoes on, our confidence to change our world with the Gospel will be small and easily undermined. Lacking the helmet of salvation, we fall easy prey to defeat. 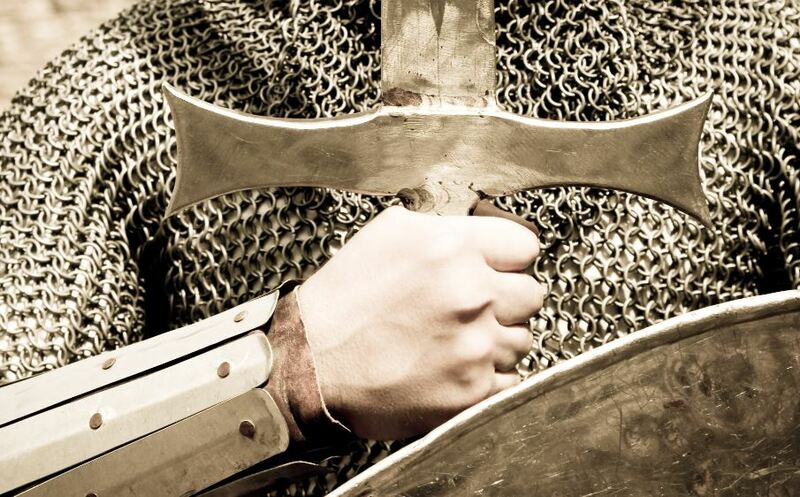 If our sword of the Spirit lays to the side, dusty and rusted, we will have nothing to ward of the attack. On the other hand, armies tremble when God’s army of kings rises up, fully geared in their armor and shouting the Name of their Commander. Demons flee in terror and sickness drops its sword when faced by believers who know their authority. It’s the kind of warfare that’s unstoppable! Let’s be an army of kings that believes and acts, faithfully utilizing the authority and power that Jesus purchased for us at so great a price. Let us not allow our resources to decay, but joyfully, proudly, and confidently sport our gear for God’s glory. The result will be more than any earthly king could ever imagine!